The WWT is excited to announce by popular demand, we will host a show in New York. Please join us for this first ever event and make it a huge success! *Please Note* All WWT trade show prepaid prices end 5 days before each show- Prepaid rate cut off for this show will be on October 15, 2018. All registrations online or at the door will be subject to the posted late setup fees and wait times must be expected! Friday, October 19 – Members are welcome to pick up their badges between 6-8 p.m. We will have armed police security available for peace of mind and security. We will be accepting armored shipment deliveries, badge pickups, and safe lockups. You are welcome to use any armored shipping company of your choice. There will be no table setup allowed. This day and time is strictly for armored shipments, badge pickups, and safe deposit box lockup. Show opens at 7:30 a.m. to booth holders and VIP members only! 8 a.m. to table holders and early entry buyers only. Limit one dealer per table and one buyer per early entry badge. Sunday, October 21 – Second day of the WWT show. Show opens at 9 a.m. to 5 p.m. to everyone, attendees and exhibitors. Reserve Your Exhibitor Space and Entries for the WWT Jewelry and Watch Show Today! We are currently accepting reservations for this show. Please download the reservation form, fill it out and email it to info@wwtshows.com. (*) Dealer entry fee included with table(s). Spouse entry fee is always free. All others must pay a separate entry fee. Reserve Your Exhibitor Space and Entries for the WWT Las Vegas Jewelry and Watch Show Today! We are currently accepting reservations for this show. Please download the reservation form, fill it out and email at info@wwtshows.com. 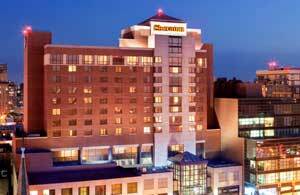 Reservations: All individual reservations are to be booked with our reservations department by either calling 888-268-0717/(718) 460-6666, faxing the request to (718) 445-2655 or email reservations@sheratonlaguardia.com. Please identify yourself with the WORLD WIDE TRADERS GROUP. All reservations must be guaranteed with a valid credit card. Travel with ease when you stay at Sheraton LaGuardia East Hotel, located just three miles from LaGuardia Airport. Enjoy the convenience and comfort of our complimentary LaGuardia airport hotel shuttle. Upon arrival to LaGuardia Airport, simply call our hotel to arrange a pick up. The shuttle runs every half hour from 4:30 am – 12:30 am daily. In addition to our complimentary airport shuttle, we offer valet parking facilities from $14-20 USD per day for your convenience. Our outdoor terrace is the perfect space to relax and connect with family and friends. Enjoy takeout from a nearby restaurant outside or sit back and take in some fresh air. In addition to our outdoor terrace, Sheraton LaGuardia East features a private rooftop terrace, which is great for weddings and other special events. Stay fit when you join us at Sheraton LaGuardia East Hotel. Enhance your routine with the Sheraton Fitness program, created in partnership with the personal training experts at Core® Performance. Enjoy our state-of-the-art fitness center, tailored dining options and access to a custom online fitness program. We also offer an in-room exercise program, which includes fitness tools for our guest to be able to train in our guestrooms. Connect with colleagues and friends while you travel with our Link@SheratonSM experienced with Microsoft®. Enjoy complimentary workstations with free wireless Internet access, newspapers, printing services and television. Gather in comfort when you meet in our nice semi-private work spaces. Gather for your next meeting at Sheraton LaGuardia East Hotel. Enjoy the convenience of our accessible location, premium conference facilities and our 24-hour business services. Our 14 meeting facilities are equipped with state-of-the-art audio/visual equipment and can accommodate groups of all sizes. Complimentary high speed Internet access available in all guest rooms and meeting spaces makes it easy to stay connected throughout your stay. Our professional meetings and events staff will work by your side to ensure you have a relaxing yet productive meeting. Enjoy the excitement and connect with family and friends at a baseball game or tennis match when you stay at Sheraton LaGuardia East Hotel. We are conveniently located in close proximity to Arthur Ashe Stadium, a major part of the USTA Billie Jean King National Tennis Center, and to Citi Field Stadium, home baseball park of Major League Baseball’s New York Mets. Learn more about all the great things to do in Flushing. Enjoy shopping from the convenience of inside our hotel in our lobby level shops. Spend time with family and friends as you browse through our lobby mall and collect souvenirs to take with you. Our lobby shops feature jewelry, photography, clothing stores and more. If you prefer to mail your reservation in, please download and print the flyer below for any watch show you plan to attend, fill in the fields and fax or mail it today!